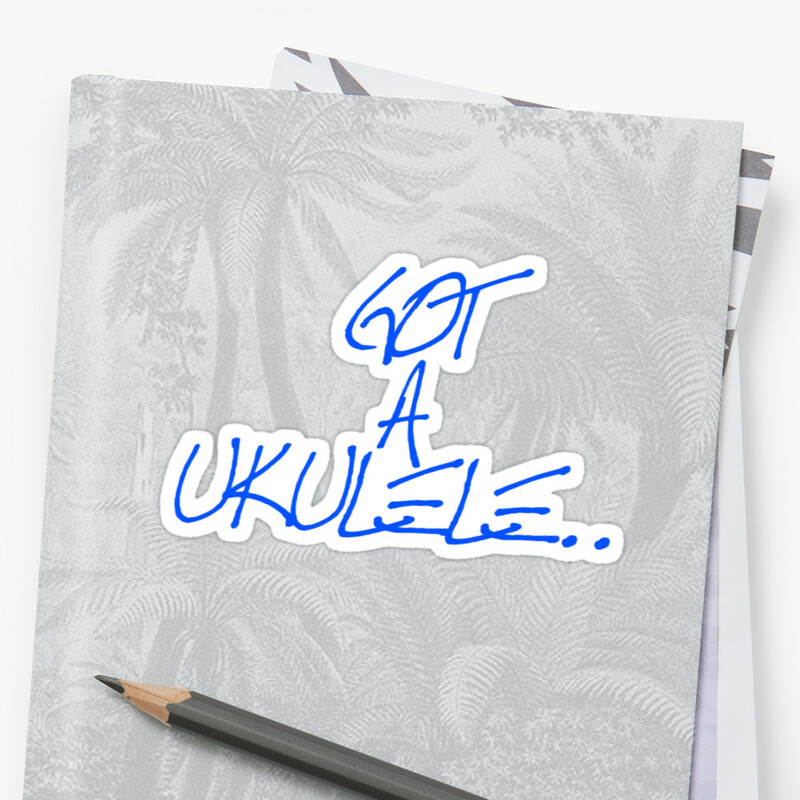 Regular readers of my blog will remember my review of the Moselele Bambookulele from last year. 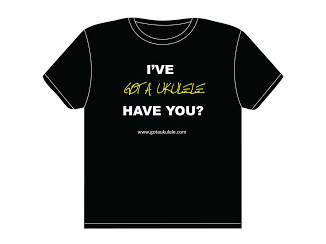 That was a UK created laminate wood bamboo finish uke created by the Moslele Ukulele club as an answer to what uke to recommend their beginners. I loved it and it also went on to do really rather well in sales. Well, Daz Wright from Moselele has been in touch and let me have a look at a new model in their range - this time a solid wood offering with an onboard electrics! So for now this is available through Moselele in Concert scale and comes in at about £140-£150. 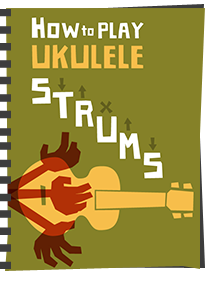 Considerably more than the original laminate Bambookulele, but then still a GREAT price for a concert scale uke in solid wood with pickup fitted. Oh, did I tell you that it comes with a really nice branded padded gig bag too? Once again, Daz has challenged the market with a superb value instrument here. And it's all self specified too. Whilst it is made in China (what isn't?) Daz ensured this was built from the ground up to include all the features that he wanted on the instrument. So you won't see another like this with a different logo on the headstock either! Let's take a look at the body and construction first. Well, first up the concept of solid wood bamboo is a bit of a misnomer I suppose. Due to how bamboo grows (tall and thin!) you cannot get pieces of bamboo wide enough to make a top or back (or even sides) for a uke, so it's actually made of strips of solid bamboo about a centimetre or so wide. So solid from the outer to the inner, but still not one piece of solid bamboo across the top - that would be impossible. You don't see a lot of bamboo ukes out there, but there is an excellent example of one made by Kiwaya which is a superb brand. The advantages of bamboo lie in it's strength, looks and also that it is highly sustainable. A good choice. The concert is in standard double bout uke shape and the body is completely finished in a satin gloss that is nicely applied all over. Nothing too shiny, but still protective and really nice on the fingers. I think the stripe created by the bamboo pieces is really attractive and certainly 'different' to most other instruments on the market. The back and sides are also made from the solid bamboo pieces and the back has a slight curve to it also. 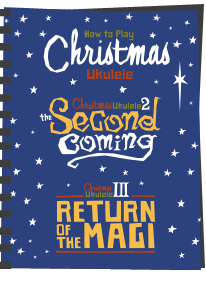 Decorating the uke is a really rather classy looking herringbone edge binding. Not made of plastic either, this seems to be made of inlaid pieces of wood and I think it looks really nice in contrast to the pale body. The same herringbone inlay also decorates the sound hole and sets it off really nicely. The bridge is a fairly standard looking tie bar style with what looks like a plastic saddle. The bridge mounting has been glossed, the second ukulele brand I have seen to do this. There is nothing wrong with that functionally I suppose, but personally I don't like the look and prefer the bridge mountings to be natural in finish. Just personal preference of course. Looking inside, it's all very neat and tidy, particularly the edge kerfing which looks very well fitted. The bracing looks a little on the thick side, but nothing overly so. I love the fact that the makers label inside is made from a thin piece of wood with the logo and model number applied in pyrographics. Different! I would just really prefer a passive under saddle pickup that allows me to EQ it 'off the uke' leaving nothing more than a jack socket on the base, but perhaps that is just me. 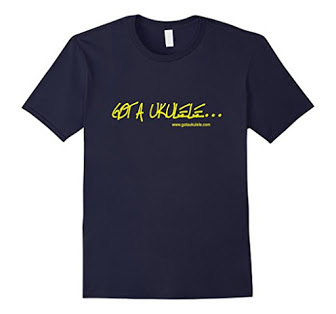 I totally understand why he chose this system, as providing a beginners no nonsense uke it arrives ready to go. No need to worry about DI boxes, EQ pre-amps and the like. I'd almost suggest Daz considers offering a solid model with no pickup at all, allowing players to fit their own passive strips afterwards. Would be interesting to know what it would do to the price. 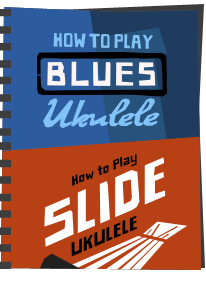 Anyway, it's a good system he has chosen and for the majority of players it will provide a worry free entry to plugging your uke in. On to the neck, this is made from two pieces of fairly pale mahogany with a joint at the heel, and it too is finished in satin gloss. It's a fairly standard concert width with a C shaped profile and fits my hand very well. The fingerboard is made from rosewood and is edge bound. It's nicely finished with no sharp edges on either the wood or the 18 nickel silver frets which are all dressed brilliantly. 14 frets to the start of the body by the way. The position markers are inlaid mother of pearl which all look tidy and classy. They feature at the 5th, 7th, 10th, a double spot at the 12th, 15th and 17th and these are all repeated on the side of the neck for the player. The headstock is in a Martin crown shape and is faced with bamboo also. The Moselele logo is inlaid in mother of pearl too, unlike the cheaper sibling which uses a screen print. The headstock is otherwise unadorned, and I think it would have looked wonderful if more of that herringbone edge binding detail was repeated at the top to really set it off. Tuning is provided by unbranded sealed gold finish tuners with black plastic buttons. They work really well and smoothly but I think the buttons are too big for a ukulele and prefer them much smaller than this. Wooden or pearloid buttons would also have set the instrument off a little more. Completing the deal is a set of Aquila New Nylguts and that excellent padded bag I mentioned above. It has gold strap button fitted to the base but nothing on the neck heel which would have been nice. And all that for £150. As I say, it really is a very attractive price. It's not overly heavy and feels nicely balanced in the hands and overall I really LOVE the look of it. Set up was just about perfect for me on arrival with no adjustments I feel I would want to make at either the nut or the saddle. Intonation is spot on all over the neck. To play, it has a typical concert range sound with some good sustain. It's got a bell like ring to it I really like, and so I would file this in the 'brighter' category of tone. It's well balanced in sound too, plugged in or not which is a good thing. In fact it sounds on a par with some solid wood concerts I have played costing quite a bit more (Mainlands and the like) so I think he's struck something good here. I would just add, I don't think it's anything magical as such, but dare I say it, more a case of a more sensible approach to price! 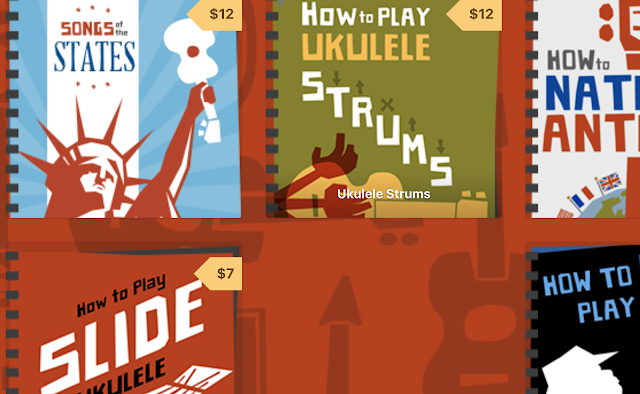 In fact you are getting a lot more here for your money than you will find with most other solid wood electro concert ukes. There are tweaks I would make, like those tuner buttons, and I personally would be happy with a passive pickup (or no pickup at all), but as a ready to go, complete outfit it seems hard to beat to me. Especially for the price. Recommended.